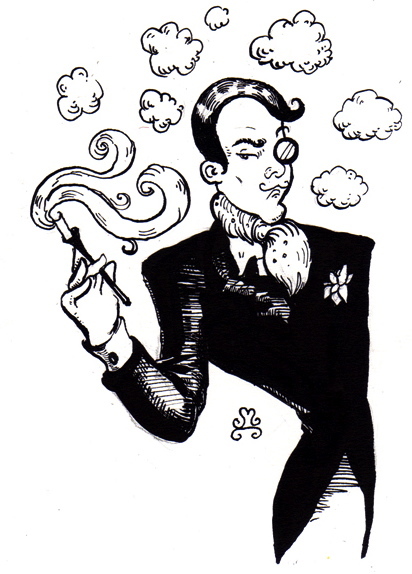 St James’s | The Perfumed Dandy. 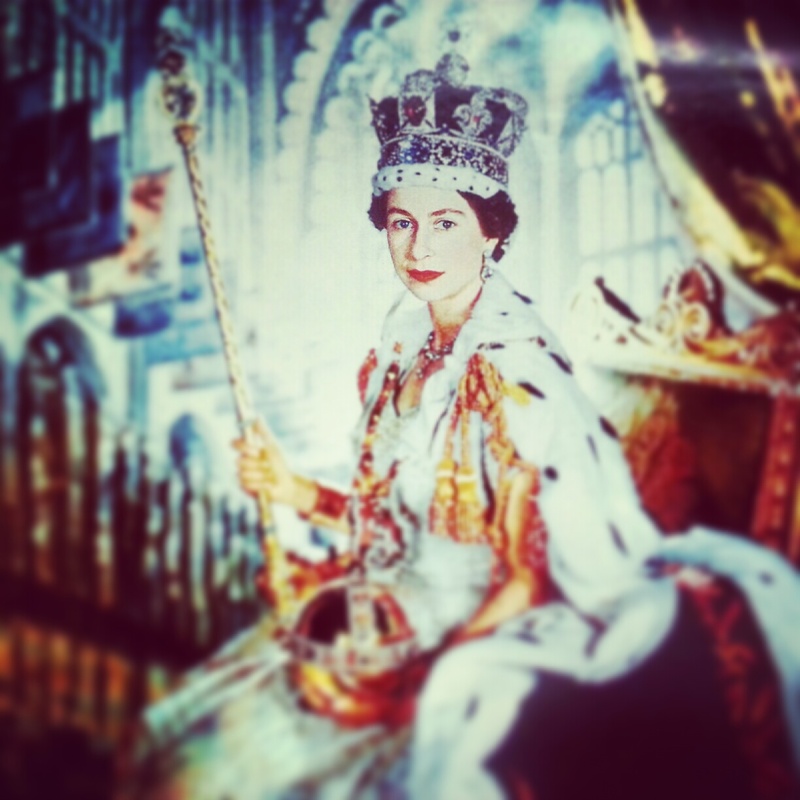 …celebrates the Diamond Jubilee of her Coronation in Westminster Abbey in 1953. Having marked the same milestone for her ascension to the throne in somewhat less glorious weather last year.. 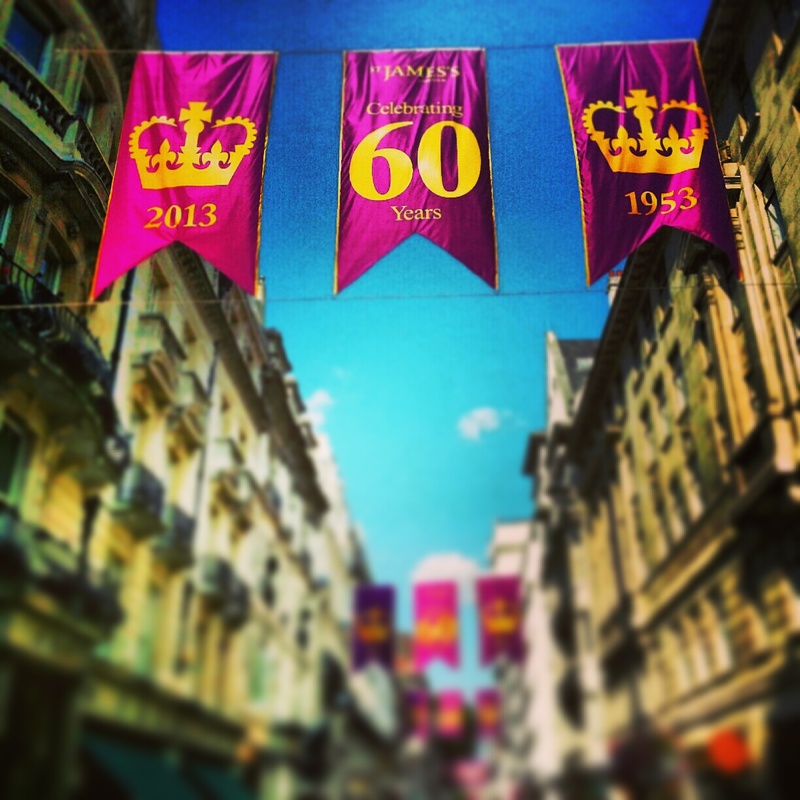 The streets of the most Royal parts of the capital are bedecked in imperial purple. 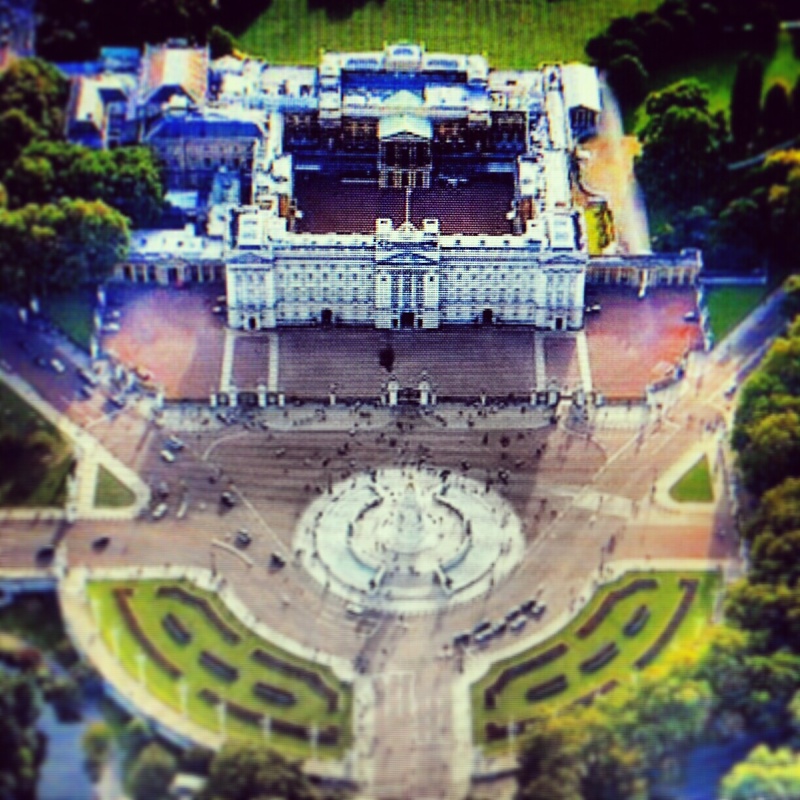 Huge Union Flags are flying along The Mall and a festival featuring displays from over 200 companies holding the ‘Royal Warrant’, the ultimate celebrity endorsement, and a series of all star concerts are taking place in the grounds of Buckingham Palace. Pell Wall Perfumes may not be recipients of a Royal Warrant just yet, but their fragrances are of a suitably majestic quality. I have particularly enjoyed their Green Carnation before, an ostensibly male-oriented emerald floral with a spectacular and austere beauty that renders it a splendid addition to the wardrobe of anyone with a penchant for fragrances of a grass-coloured hue. However, for the present occasion only the specially released 1953 Eau de Toilette will do. It seeks and succeeds in offering an olfactory imagining of not only the scent but also the sensation of the anointing oil applied privately to Elizabeth a near lifetime ago. The perfume opens with a sharp, almost heart-stopping, even shocking neroli: a metaphor in aroma for the moment the young woman received the sacrament that confirmed her position in a line stretching over 800 years. Slowly, just as realisation of her part in destiny and her acceptance of it grew within her, so the fragrance opens up into an expansive heart rich in cinnamon and orange flower but with a certain meaty animalic undertone that borders on the mediaeval. There is rose here too of a very particular sort: a high note blossom in possession of an alluring astringent quality with elements of the neroli of the opening and a sugared lemon that can be found in older English varieties of the flower. Development is appropriately stately: a gradual and satisfying drydown to a luxurious, sweetly resinous, spiced, yet still partly animal odour that encompasses the breadth and depth associated with the finest scented oils. I can only imagine how encompassing the extremely limited edition parfum must be. This is a fragrance of an uncommon near archaic grandeur of a type seen rarely today. In that sense it is a cypher not only for the Coronation but for the institution of the Sovereign as a whole. Sincerest thanks to Pell Wall Perfumes for allowing me to sample their celebratory scent by sending The Dandy a sample.